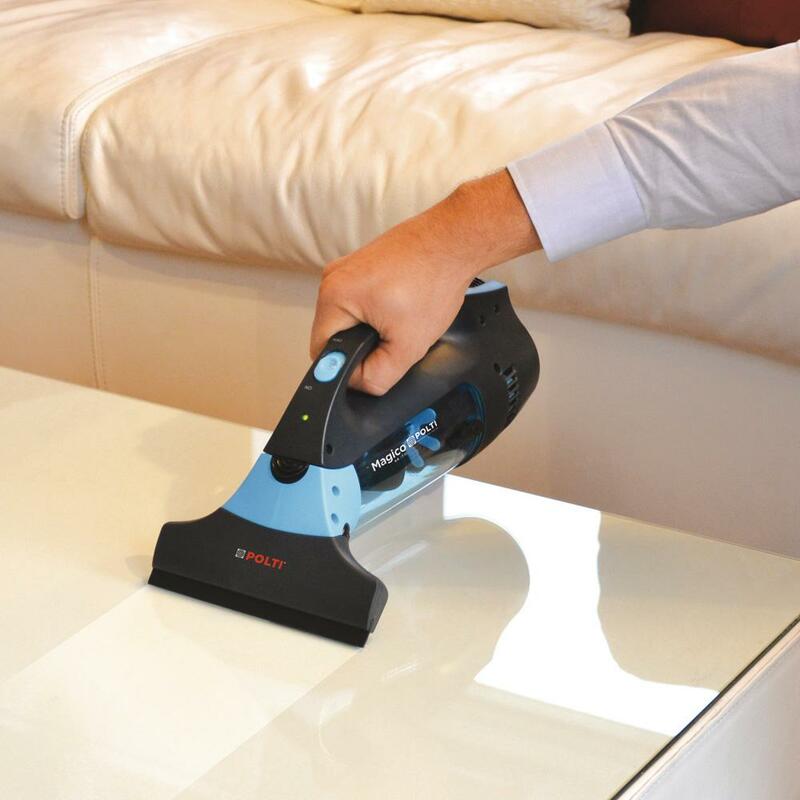 Smear-free windows, mirrors and glass in a single pass. 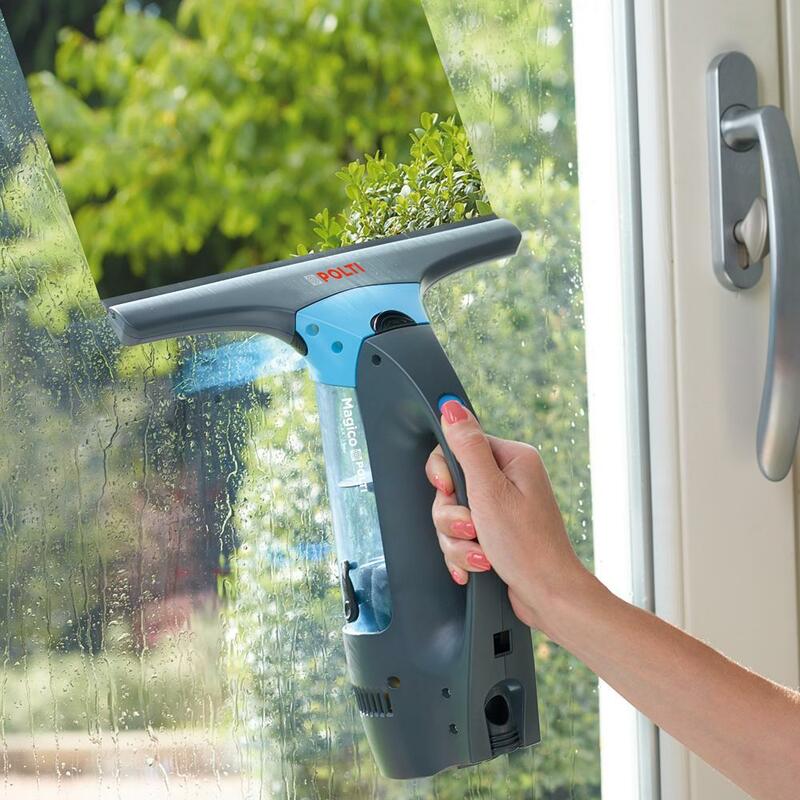 Cleaning windows has never been easier. Magico window cleaners are cordless, rechargeable, and easyto manoeuvre. They are ideal for cleaning all the windows of the house, but also other smooth surfaces such as tables, mirrors, tiles and shower screens. Simply wet the surfaces with a damp cloth, water, or your favourite cleaning product. The Magico window cleaners collect the moisture and dry with one sweep. Compared to conventional batteries, the lithium ion batteries used in the Magico range of rechargeable window cleaners accumulate energy faster, do not suffer from the 'memory effect' and last longer since they lose their energy capacity more slowly. The advantage is the ability to recharge the appliance at any time without having to wait for the battery to go completely flat. Pretty handy, since it means you can always have your appliance charged, avoiding unnecessary waiting, especially when a "lightning" cleaning around the house is needed. Versatile and lightweight for a fast and easy cleaning. The Magico window cleaners are cordless so you can move all around easily. It has an excellent operating time up to 30 minutes, allowing you to cover up to 860 ft2 - enough time to clean all the windows of your home without recharging. 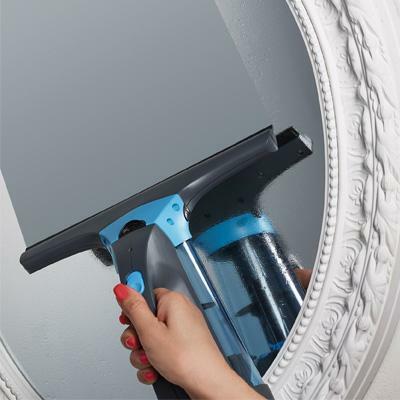 Moreover, Magico allows you to easily clean all flat surfaces using the appropriate nozzle: 280 mm for larger surfaces, and 170 mm for smaller ones. It can also be used both on vertical and horizontal surfaces.